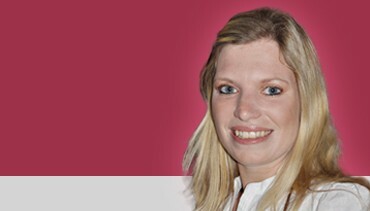 The Thornybush Game Reserve consists of over 10,000 hectares of pristine African Bushveld. The reserve is home to Africa's big game. 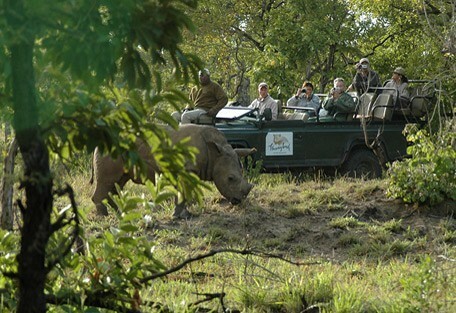 It offers prime game-viewing territory and opportunities to get up close to the wildlife. Situated in the heart of the Lowveld and adjacent to the world-famous Kruger National Park is Thornybush Game Reserve; home to the Big 5 and a variety of other African wildlife species. 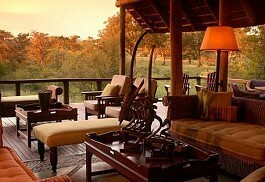 Game viewing in Thornybush Game Reserve is of very high standard and compares with the best in the world. 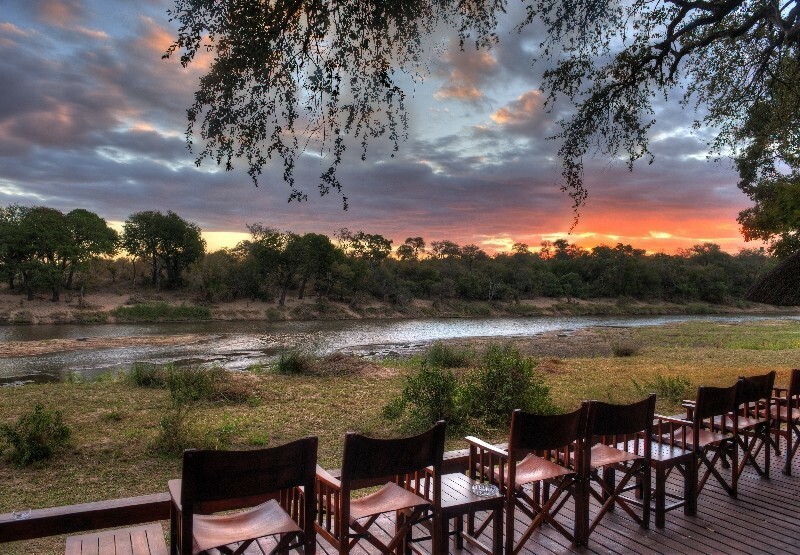 The Thornybush Game Reserve consists of over 10,000 hectares of pristine African Bushveld. 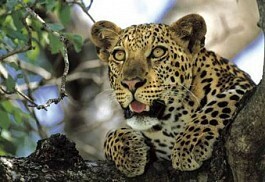 It is predominantly open savannah and with a near perfect year-round climate it is the ideal safari holiday destination. Tracking animals is a speciality of Thornybush and during 'Art of Tracking' explorations you are taught how to read the spoor and follow animals without putting yourself in danger. 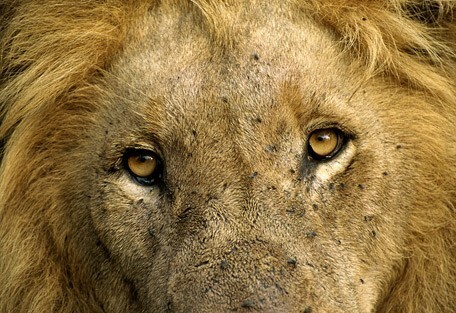 There is no thrill quite like watching Africa's most dangerous animals, after you have personally tracked them. Thornybush Game Reserve shares an unfenced border with the Timbavati and is a large game reserve and offers guests a superb Big 5 wildlife experience. There are range of lodges to choose from, which are suitable for all budgets. 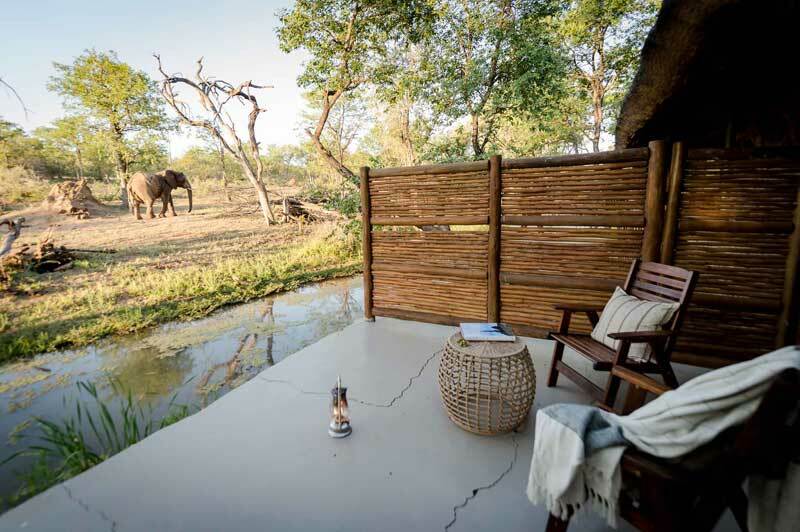 We recommend 2 nights in the Thornybush and then combine that with two or three nights in one of the other private reserves like the Sabi Sand, Klaserie or Timbavati. 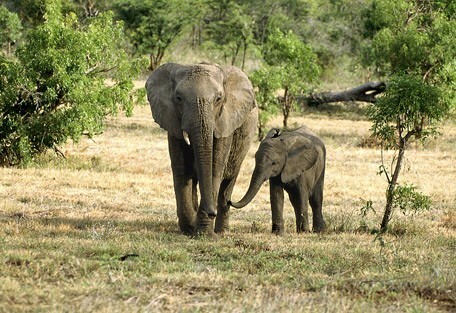 Thornybush is child-friendly, making it a superb destination for families travelling over the holidays. At some of the lodges there are children's activities especially in place to keep the little ones entertained. 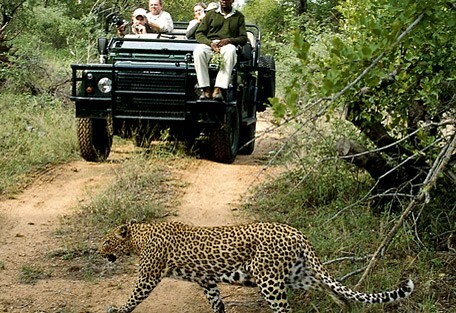 Thornybush Game Reserve boasts abundant game numbers giving lucky guests an increased possibility of encountering the Big Five. Shumbalala offers visitors the ultimate in bush luxury in an exclusive area catering for only 8 guests at a time. With its renowned location in the Thornybush Game Reserve adjacent to the Kruger National Park guests are ensured of unrivaled game viewing. 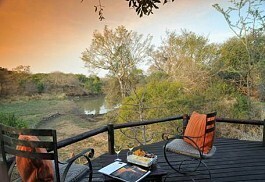 Thornybush Game Lodge is situated in the heart of Thornybush Nature Reserve, adjacent to the Great Kruger National Park. 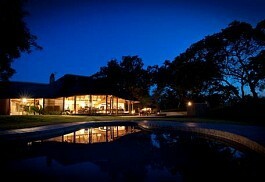 The Lodge is elegant and exclusive and offers guests unrivalled game viewing, complemented by superb cuisine. Royal Malewane offers a royal and luxurious safari experience in an untouched wilderness area in the heart of Africa’s finest bushveld where guests can experience expert guides and trackers combined with an intimate safari experiences and game encounters. 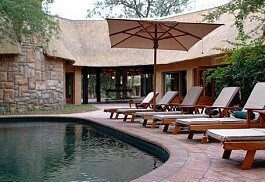 Jackalberry Lodge is a classic safari lodge situated in the Thornybush Game Reserve. The magnificent Drakensberg Mountains in the background offers beautiful views. The lodge offers only 7 chalets with en-suite facilities and outdoor showers. Chapungu is a luxury tented camp offering guests the ultimate in privacy and exclusivity in a prime wilderness area in the Thorny Bush Game Reserve, adjacent to the Kruger National Park. Only 8 safari tents available with air-conditioning and magnificent views. 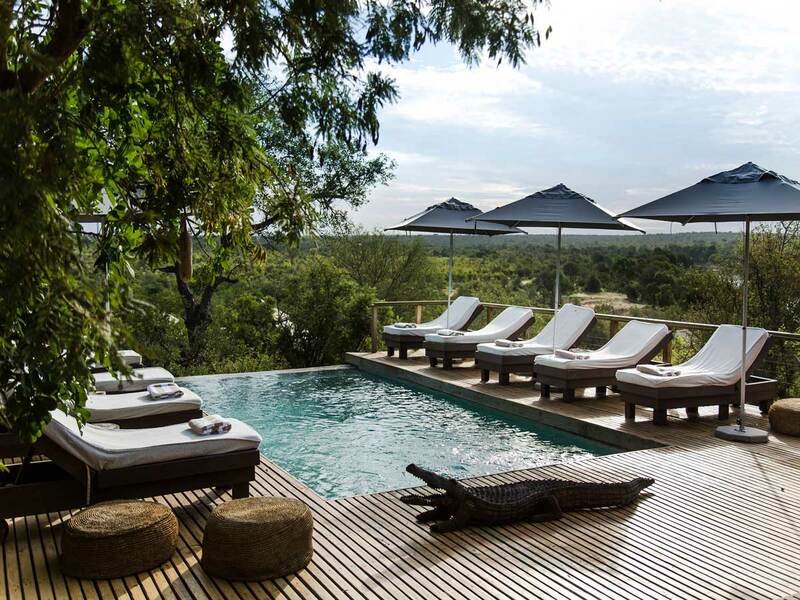 Monwana is a luxury safari lodge offering a magnificent location in the heart of the Thornybush Game Reserve bordering the Greater Kruger National Park. 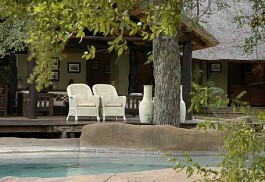 The accommodation is luxurious and the lodge is family-friendly. 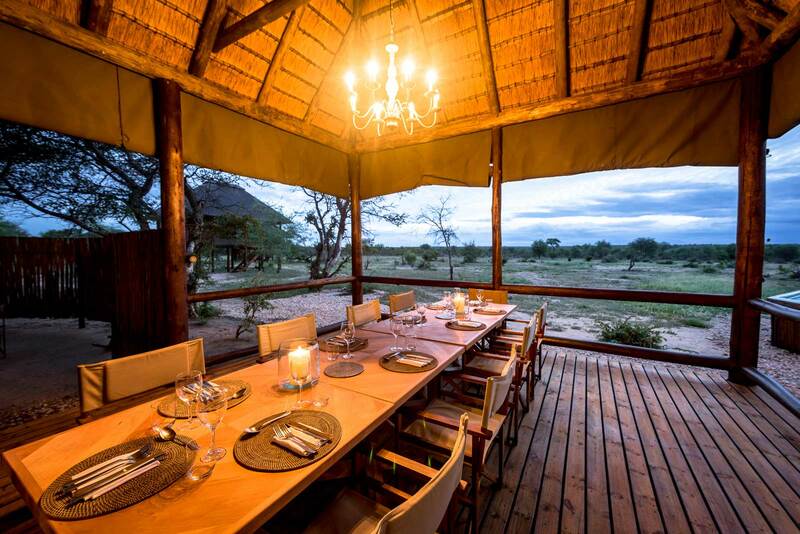 Serondella is a classic safari camp situated in the Thornybush Game Reserve offering a variety of exciting wildlife activities and fantastic game viewing. The lodge is family friendly and offers children’s activities. 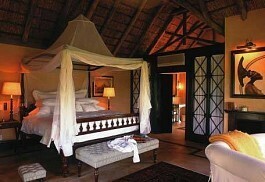 N’Kaya Lodge offers a personal and exclusive safari experience with only four safari suites available. N’Kaya is ideal for guests looking for a luxurious yet intimate safari experience in a pristine area renowned for incredible game viewing and big five encounters. The Waterbuck Lodge provides extraordinary wildlife diversity within the confines of a closely located watering hole and abundant birdlife. Waterbuck is truly a "home from home" and can also be booked on an exclusive basis for small groups or families. Thornybush Waterside Lodge is the perfect getaway for individual guests, small groups and even families looking for the ultimate safari experience. The lodge offers beautiful bushveld views of the reserve. Tangala Safari Camp offers visitors a traditional safari experience in the Thornybush Private Game Reserve in the famous Kruger National Park. The camp offers a light foot-print and blends in with the environment. With its magnificent location within the Thornybush Game Reserve lies Nkelenga Tented Camp; a small and intimate safari camp offering visitors a self catering option. Modern facilities include air-conditioning and rooms have en-suite facilities. 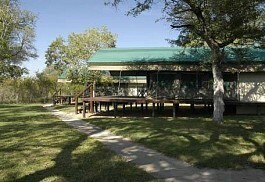 Nsele Safaris Lodge is a three star graded lodge situated in Limpopo, on the border of Thornybush Game Reserve. The lodge is ideal for families, adventurous guests as well as bird enthusiasts. 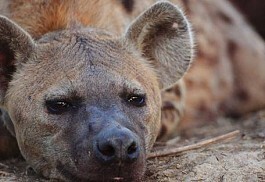 Game viewing in Thornybush Game Reserve is of very high standard and compares with the best in the world. Thornybush is a renowned home for the Big 5 and hosts more than 60 species of wildlife, including lion, leopard, elephant, buffalo, rhino, hyena and cheetah, as well as a multitude of general game, antelope species, giraffe, zebra and incredible birdlife. The reserve is a birdwatcher's paradise, where more than 280 bird species have been recorded. Expert rangers and trackers lead all game activities making for memorable and professional safari experiences on both vehicle and foot. 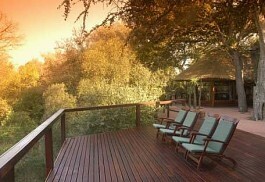 Thornybush is a family destination, with a suitable year-round climate. Children are catered for at many of the lodges with special childrens' activities, keeping the little ones engaged and entertained. The climate is regarded as subtropical, with summer days that are hot and humid with afternoon showers and winters, which are cool and dry. Summer is from October to March, when temperatures during the day are high, approximately 32 degrees Celsius, and cooler, more pleasant evenings following. 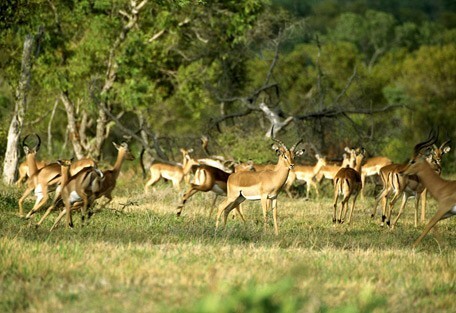 The summer rains bring lush green bushland, however the vegetation is dense and finding animals becomes more difficult. Winter, also called the dry season, is from April until September, with warm days and clear blue skies. The early mornings and evenings can get very cold. Water is scarce during winter and animals tend to congregate around the water sources, making game viewing in the dry winter months the best. 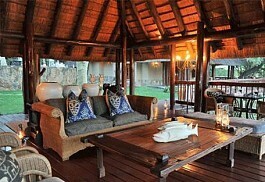 Chapungu Tented Camp offers guests a rare tented camping safari experience in the Kruger. The waterhole at Chapungu Camp is a major attraction with plenty of animals coming down for a drink. Not far from Chapungu is Serondella Game Lodge, an excellent choice for families looking for a bush break. 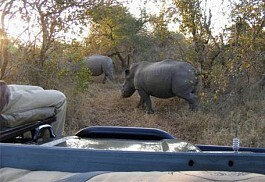 Serondella offers game drives in open Land Rovers and guided bush walks. Royal Malewane is colonial chic at its best. This super luxurious safari lodge is ideal for the more discerning guest, accommodating with sheer opulence and touches of personalised charm. Tangala Safari Camp is an intimate 5-roomed camp with the charms of being a personalised, owner-run operation. 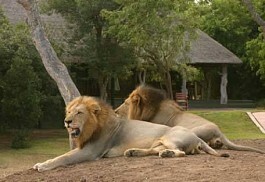 It means 'the place of the lion' and offers an authentic experience in this pristine bushveld. 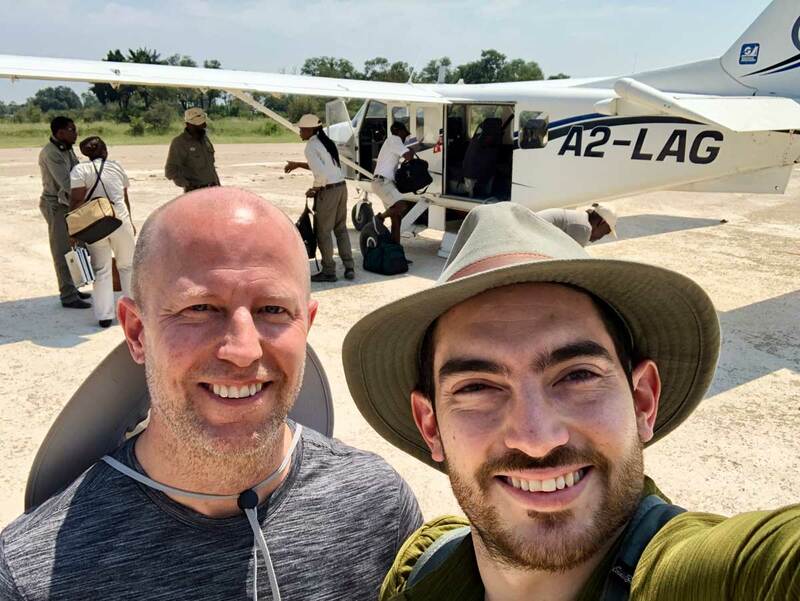 There are daily flights from OR Tambo International Airport (Johannesburg International) to Hoedspruit Airport (also called Eastgate) and generally Sun Safaris agents will use this airport for guests visiting the Thornybush Game Reserve lodges. Once guests arrive at the various airports they have a choice between, a car hire option (self-drive), a road transfer to the lodge where they will be staying or a short air transfer (flight hop) to the various lodges in the Thornybush Game Reserve. All the Thornybush Game Reserve lodges are accessible via self drive with a sedan rental car from anywhere in South Africa.To self drive from Johannesburg will take approximately 6 hours. 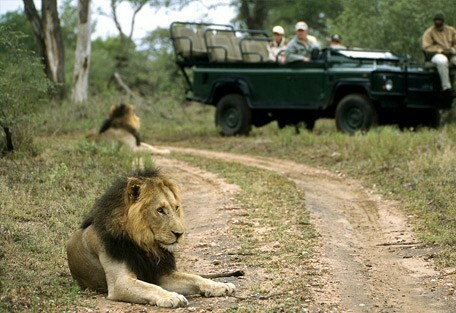 All means of transportation will be booked and arranged by Sun Safaris.